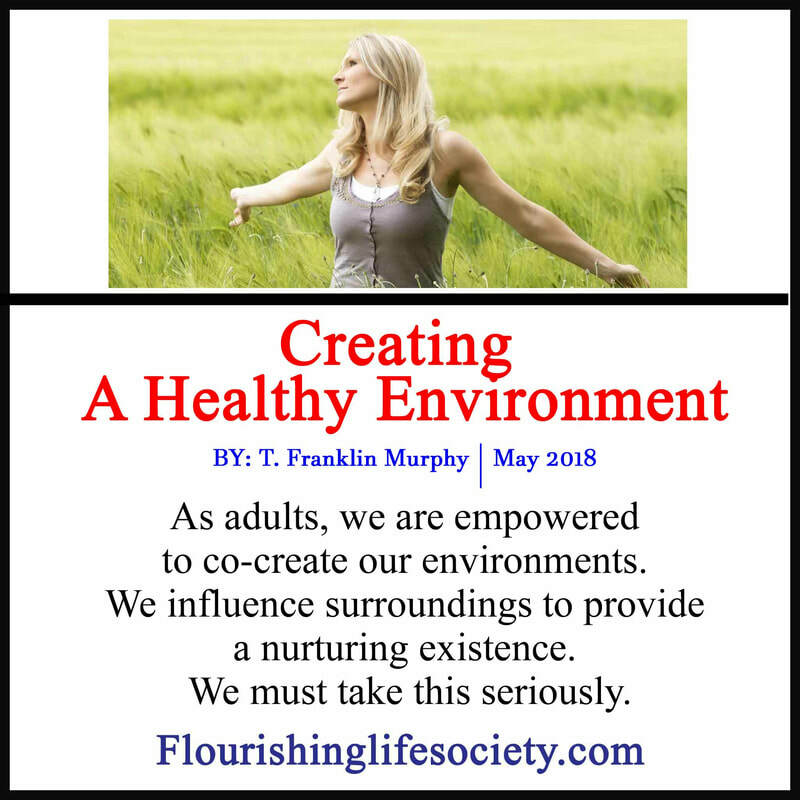 As adults, we can create better surroundings to encourage our continued growth. Some do the opposite, surround themselves with others and influences that begin the process of decay. Behaviors, beliefs and thoughts mold the surrounding environment. Our well-being depends upon the conditions we live in—a healthy environment. We are not impermeable. The people and places around us provide and take. Our surroundings respond to us and we respond to it. Our positive actions contribute to the environmental nutrients by cultivating the good and distancing from the bad. Whether our environment is rich or impoverished, we can adjust, improve the conditions and harvest more of what we need. If our histories are sparse, missing necessary mentors to guide, we must reach a little further, opening new doors, and finding the support change demands. Climbing from the valley of death to the bountiful golden fields of plenty isn’t a simple adjustment but a life time achievement. Just as one child may drift from a genealogy of greatness, so can another child prevail over the bleak conditions of his heritage. We must believe in the possibility of transformations. We don’t have to carry the same burdens of our parents. The path to an unfamiliar lifestyle is often obscured. We haven’t received the necessary exposures to develop necessary skills, leaving us dumbfounded on what actually needs to be accomplished. We need mentors to guide us through the first several awkward steps. This may require changing our environment, finding contacts that can support the change. For our output to change, we must attend to the input. Our minds must adjust to digesting new cultures, knowledge, and norms that amicably agree with our intentions for a better life. As we place ourselves in these different environments, and adapt to the new demands, we begin to create a new life—the life we desire. The achievements follow the dedication and courage to change foundational parts of our lives. Our behaviors, our emotions and our beliefs have adapted to the newness and brightness of a life that can bless not only us, but our children and our children’s children.